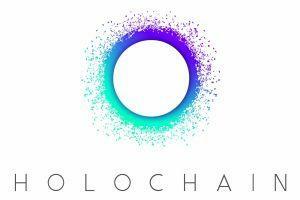 Ever since its introduction in 2018, Holochain wants to replace blockchain as a platform for data storage, development of dapps and easy transactions. These features come with the promise of better efficiency, more user agency and fewer middlemen. Holochain operates as the technical backbone and a part of a wider ecosystem which also comprises the Holochain token (HOT) as well as Holo platform for hosting Holochain apps (hApps) on the cloud. In late 2018, the platform experienced a sort of a price boom, drawing the attention of both mainstream media, developers and end users with its invitation to try to “think outside the blocks”. With the “blocks” being primarily associated with Bitcoin and blockchain, the Holo project promises to resolve all of their issues by changing the technology from scratch. The Holo developers feel that the proof-of-work (PoW) consensus model has run its course in terms of its capacity to handle a larger number of transactions and wider adoption. Instead of resource-heavy PoW method which arguably consumes copious amounts of electricity and scales poorly, the Holo project goes for an “agent-centric approach” to data reality, with participants sharing their own “realities” based on set rules. Just like holograms are created from multiple light sources, the Holo platform is built around converging individual data realities (hence the name of the project). The blockchain is seen as being hampered by its dependence on maintaining the system in which all participants share one global state, represented by the ledger containing an entire transaction history on the chain. Holochain goes beyond blockchain architecture and removes both single ledger and consensus-based models altogether. Instead, it uses the distributed hash table (DHT) storage system borrowed from the torrent technology in which pieces of a single file are held by various users instead of being downloaded from one source. This system allows the Holo nodes to put together the puzzle-like pieces from different users and create a unified insight into the state of its chain. In case the users want to introduce changes to the system which validates consensus, their flexibility is limited unless they want to bring about various hard or soft forks. Limited maneuverability regarding the consensus rules is seen as hurtful to the efforts of the developers of decentralized applications (dApps). As a response, the Holo project implemented the DNA system which defines the basic validation rules on a chain (its “physics”), with the possibility to develop each dApp based on specific custom rules on its own chain, as long as they do not contradict the general system’s DNA. 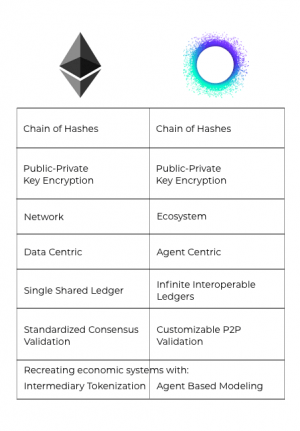 How Did Holochain Eliminate the Traditional Consensus Model? As the central component of the Holo project, the Holochain represents an attempt to bypass blockchain as a technology which the Holo developers describe as an essentially centralizing technology. In essence, it is seen as a “promise” of a decentralized network which is broken by enforcing a single dominant perspective on it. Also, its reliance on miners is seen as putting it at the risk of giving them too much undeserved power. To counter this, Holochain had to eliminate the consensus model as a whole, making this ts main difference from the competing blockchain technology. In the words of one of Holochain representatives, the crowd involved in the Bitcoin development focused on freedom from constraint by others while Holochain team “focused on the freedom to constrain ourselves”. To make this possible, each device on the Holochain network gets to use its own ledger and operate independently while interacting with other devices on the platform. This achieved by the hash chains technology. These structures are used as points of reference whenever the system checks if the data on it has been tampered with. In the case of torrents, the same tech ensures that users can access the desired downloadable content and not some malware, for example. So, instead of trying to maintain global consensus for every modification to a huge blockchain ledger, each user is assigned their own hash chain that is a separate “space” with its own set of rules. Once the data is signed to local chains, it is shared via the DHT system in which each node will apply the same set rules for validation. Should a node break a rule, the DHT will reject its data. The system’s operation is described as being analogous to a game of cards, in which one does not need a referee or a consensus model to stop the user who tries to break the rules: other players will do so, just like an immune system responds to disease. Can Holochain Offer Better Scalability? Another system Holochain gets compared with is human language, as an organically developing unit. So, in addition to hash chains and the DHT system, its third component is the cryptographic signing which encompasses chains, messages and confirmations. The same goes for countersigning of transactions and interactions between the parties. Based on the distributed computing system, each member on the chain (called “agent”) maintains a single blockchain that establishes interaction with a cryptographic key assigned to that agent. Unlike what is the case with blockchain, there is no need for each member to manage a copy or record of the state of the entire public blockchain. Going back to the comparison with language, the Holochain developers claim that the disappearance of a large number of speakers of a particular language would not make other people start forgetting it. The reason for this is the fact that language does not need to be “stored” centrally, as each speaker carries the functional piece of it without needing a complete “copy”. In the same manner, once a node in Holochain goes offline, the data on its individual chain does not get lost, as a limited copy of it is kept in the public blockchain. Based on this, the Holochain hopes to solve the problems of scalability and adaptability faced by the blockchain. 1) Holo provides space for applications that can be hosted based on P2P model, running as a cloud-based ecosystem which allows the apps to bypass centralized infrastructure of the modern internet. Instead of them, the system uses distributed networks consisting of the users’ home computers and smartphones. The distributive system makes it possible to reduce the costs of computing and minimize bottlenecks. 2) Each person with spare storage capacity or processing power on their PC can rent those resources out to developers (for their work on websites, for example). This system is designed to operate on a marketplace basis. 3) In addition, the Holo platform allows its users to host distributed applications on their systems without the requirement for a special type of hardware and expertise. The users are compensated via hosting prices they are free to pick. Apps for management of supply chains, communities and relationships with vendors etc. How Does Holochain Plan to Improve Security and Privacy? Holochain’s approach involving giving each device its own ledger with an individual chain also has implications for the protection of security and privacy. In this system, each device can resort to the integration and sharing of data only when it is jointly decided or deemed necessary. Since the Holochain apps will operate mainly on distributed networks (running on home PCs) they will not get in touch with corporately-owned servers. The advantage of this is that each user remains in control of his data, instead of turning it over to third parties (such as corporations) that may sell it or expose it to security breaches. The Holo developers invite the users to consider what the companies such as Facebook or Google do with their personal data, particularly with the social network use, emails, GPS locations, phone calls and viewing histories, all of it with the goal of securing their advertising revenue. The ambition of the Holo developers goes beyond the scope of their project, as they see their Holochain as a way to create a “new” internet built on novel technological basis. The parent project for the Holochain called Ceptr is the fundamental protocol regulating the structuring and organization of data, information processing and communication on the web, with the focus on user collaboration and privacy. Apart from being an open source platform, Holochain wants to make itself a generally more accessible environment for both the developers and end users alike. One of its competitors is certainly Ethereum, which aims to become the main platform for the development of decentralized apps. Yet, it faces the problem of using the programming language called Solidity which still does not have too many developers. When it comes to other aspects of the competition with other platforms, proponents of Holochain describe it as being theoretically 10,000 more efficient than Ethereum based on its elimination of the need for consensus. Another supposed competitor, EOS is also dismissed on the grounds that its use of blockchain and global ledger will have it face scaling issues sooner or later. c) The fuel will be redeemable for other currencies. In line with what is offered by the Holochain, the Holo fuel will eliminate the global ledger as the means of tracking digital assets i.e. currencies. Instead, the user will be given individual ledger featuring his transaction histories and account balances. All of them will be recorded in the Holo fuel app which will function as an equivalent of the Holo account and wallet. This system is described as a “dynamic supply”, with each positive credit having a matching negative equivalent. All transactions with Holo fuel are planned to have an initial ≤1% transaction fee which is paid by the sender. In the future, these fees will cover the range of 0-1% and will be used to optimize and maintain the network’s infrastructure. In addition to lower fees, Holo fuel is arguably optimized for handling millions of both micro and regular transactions. At the same time, the “backing” of the Holo fuel is secured by the computing power of various hosts across the globe. What is the Purpose of the HOT Token? Prior to the release of the Holo beta which is planned for 2019, a temporary “placeholder” token for the promised Holo fuel is the Holo token (HOT). Once the system launch is complete, this ERC20 token will be redeemable for the Holo fuel at 1:1 ratio. The HOT token was the focus of a month-long ICO which took place between March and April 2018. The offering managed to raise more than 30,000 ETH (USD 20 million). The ICO also saw the minting of 133,214,575,156 HOT tokens. The HOT token’s market cap hit USD 67 million in December 2018, down from 227 million it had in May, but holding a more or less steady course since September 2018. The HOT token can be stored in any ERC-20 compatible wallet or the hardware wallets. It is available for trading on cryptocurrency exchanges such as Binance, Hotbit and others. Arthur Brock holds the title of the Chief Architect in Holochain team as the senior developer with many years of experience in working with AI and alternative currency projects. David Meister is the creator of the Holochain Core, while Eric Harris-Braun is the Executive Engineer behind Holochain. Together with Brock, he is one of the co-founders of the project.